As we pledged to engage in Institutional and legal reforms, I urge you to work hard for us to achieve our goal as a government and to leave a legacy of sustained institutions, laws and procedures. This will transform our country into a fully fledged democracy and facilitate social, economic and political development for our people in the NEW GAMBIA. ing it. It is therefore not a surprise that Honourable Chief Justice Hassan Jallow has decided to join in this crusade. 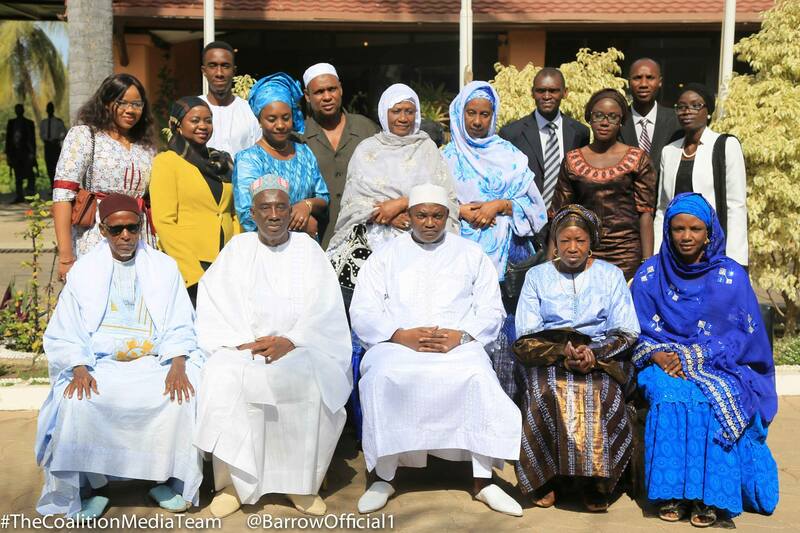 Honourable Jallow has served the Gambia in different capacities and today it is expected that the experience gained locally and internationally will take the Gambian justice system to higher heights. Twenty two years of injustices and abuse of power require knowledge to ensure that justice is seen to be done as well as reconciliation to give peace a chance. This is why the expertise and experience of Chief Justice Jallow is needed. His experiences gained during his services under the International Criminal Tribunal in Africa and beyond will be useful in The Gambia. We can forgive but we cannot forget in ensuring that justice prevails. I take this opportunity to congratulate Chief Justice Jallow and wish him the best in undertaking this important task in our nation building. As we pledged to engage in Institutional and legal reforms, I urge you to work hard for us to achieve our goal as a government and to leave a legacy of sustained institutions, laws and procedures. This will transform our country into a fully fledge democracy and facilitate social, economic and political development for our people in the NEW GAMBIA.